Rent Welfare Café & Goat Barn | Corporate Events | Wedding Locations, Event Spaces and Party Venues. 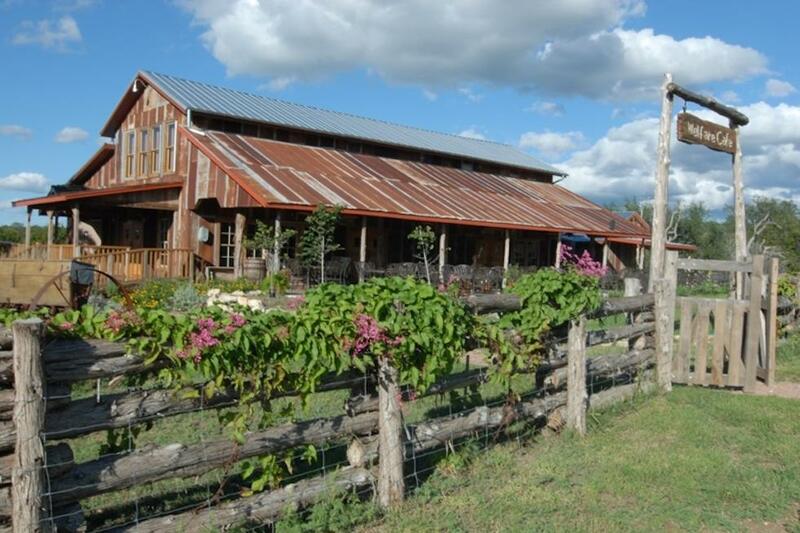 If you are looking in the Hill Country for the perfect spot to host a rustic farm event, look to Welfare, 10 minutes from Boerne and 30 minutes from San Antonio, Texas. We also host rehearsal dinners and family celebrations. The staff at Welfare can help you put together any kind of event you can think of. Whether you are looking to host a group of 10 or 150, they have everything you need to bring an unforgettable night to life. Picture a birthday in the Bier Garten in the arbor, a family reunion under the 400 year old, or a candlelit anniversary dinner in the Hofner Room. Even a rehearsal dinner for 20 or 100 works great in the old post office or the barn. The rustic hill country farm setting makes the possibilities endless. Indoors or out – if you can dream it we can make it happen. Welfare – where love, history and nature come together. If you are a corporate planner there is more than 5,000 sq. ft. of versatile meeting space. Transportation can be arranged to and from Welfare. Audio /Visual equipment and two stages are there for your use. Open space is available for team building activities. Food & beverage will be catered by Chef /Owner Gabriele McCormick who has lead the culinary team for the past 18 years.